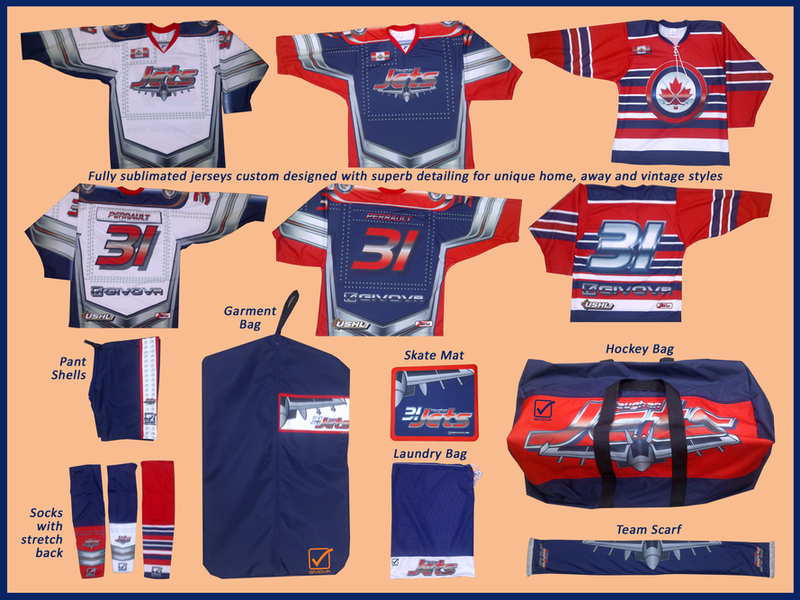 Full range of custom sublimated or cut & sew products for teams and clubs looking to refresh their style with the latest designs and light-weight fabrics for jerseys, pant shells, socks, etc. Jersey cuts are specially designed for each sport including arm widths and lengths, jersey lengths, etc. Double shoulders and elbows are available for durability. Traditional pro-style jerseys also available in cut & sew styles. Variety of hockey jackets, tracksuits and leisure wear from quality brands.